This article highlights the gap between the principles of inter-state relations (as espoused by the United Nations and the so-called ‘International Community’) and their actual practice, suggesting that the critical stance of anarchist geographies provides a good perspective to better understand ‘International Relations’. The article traces the links between ‘classical’ and contemporary anarchist geographies, before offering an analytical procedure informed by an anarchic critical approach to Geopolitics. Geopolitical analyses of specific cases can be very different from one another and the various theoretical frameworks of scholars of International Relations, geo-strategy etc. are also distinct. But it is possible to state that there are constant operative modalities in the management of geopolitical crises, and there is a conceptual framework (discourse à la Michel Foucault) which is widely shared by intellectual elites and world political leaders. The essential points of this discourse are the following: 1) that there is an international law or legality valid for all (the states), 2) that the state is the only practical and ‘right’ form to represent and manage the rights of human groups, 3) that preserving the current state borders is the main means for preserving world peace, hence the recurrent repetition of the mantras of ‘sovereignty’ and ‘territorial integrity’ in the narratives of all governments, and 4) that the United Nations really represents the place and the instrument for the peaceful and negotiated solution of the international disputes (i.e. between states) (Eva, 2016). This discourse is the result of the drama of World War Two and of the immediate post-war period when the UN and the Universal Declaration of Human Rights sought to establish a framework of noble principles to avoid war which conceptually is ‘always to be condemned’. But the non-obligatory application of the Universal Declaration for the states which ask to join the United Nations and the dynamics of the Cold War have provoked the persistent dichotomy between the narration/representation of a world founded on noble principles and the practice of states, especially the most powerful, which contradicts these principles in the name of so-called ‘national interests’. These interests always ultimately prevail both in practice and within the single state narratives. As evidence of the gap between the principles and the practice of the states take for example Article 2 of the Declaration, which underlines very precisely the irrelevance of the juridical status of the territory in relation to granting Human Rights, but in actual geopolitical practice (and IR theory) this responsibility is ascribed to the state(s). For this John Agnew preferred to use the term ‘interstate’ instead of ‘international’, noticing that ‘the territorial state is viewed as the strict container of society’ (Agnew, 2015: 44). States are the main/unique actors in the global arena (see Agnew, 1994 and 1998); governments produce geopolitical narratives, affirmed as iconographies (Gottmann, 1952), that pretend to belong to a universally accepted discourse, which claims international legal standing via treaties signed by states and in so-called conventions. The practice is to pursue ‘national interests’ through the exercise of power. Essentially, all geopolitical crises are managed by a maximum of ten countries, referred to by mass media and political leaders as the ‘international community’. Within a so-called (and often invoked) ‘World Order’ based on states, the anarchist approach has distinct advantages. 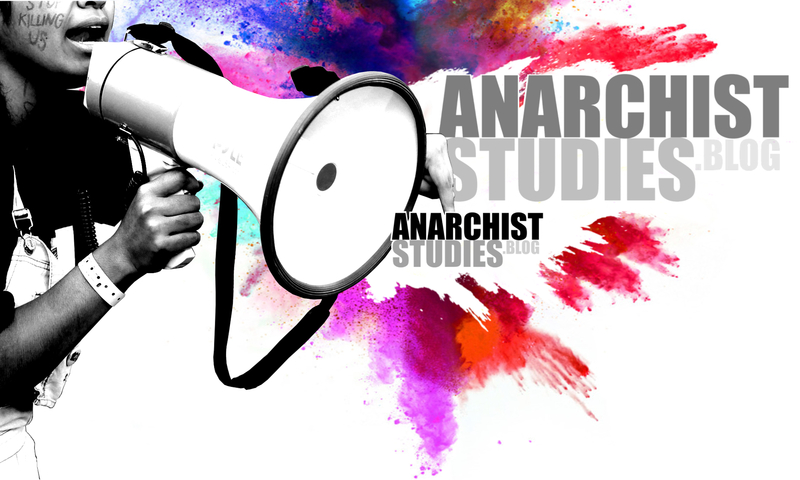 The anarchic approach, because it lacks an obsession with the state as the unique geopolitical actor, makes it possible to better distinguish symbolic and rhetorical declarations from the reality of the facts, to more effectively understand the actions of diverse non-state actors. As such, even descriptive words and concepts such as ‘international community’, ‘national interests’, ‘having an international role’ and so on are considered critically and evaluated in their spatial-geographical, cultural and socio-economic implications. Some contemporary geographers were/are flexible and open-minded and hence do not conceptually accept the state as the central or unique geopolitical actor, nor fixed borders as the best or obvious socio-political container – in this they echo the ‘classical’ anarchist geographers. For example, Anssi Paasi writes: ‘Territories as “bounded spaces” should be understood as only one type of the spatiality of power’ (Paasi, 2009: 214), echoing anarchist geographer Piotr Kropotkin who wrote: ‘the state is nothing else than a form that the society took in history’ (Kropotkin, 1981 : 28). Agnew stresses ‘the need to stop associating “geography” with territory as the only modality for the spatial organization of politics’ (Agnew, 2015: 43), which is conceptually close to anarchist activist Gustav Landauer: ‘The state is a non-sense because it is an idea of a goal which has but the shapes and the limits of the idea of a territoriality’ (Landauer, 2012 : 110), and this is reasserted by the French geographer Lucien Febvre (not an anarchist but influenced by Reclus): ‘The State never is a condition of things, but a creation’ (Febvre, 1980 : 363). Claude Raffestin and David Newman echo the analyses of borders and power relations made by Elisée Reclus and Kropotkin, writing: ‘The crystallized border then becomes ideological because it territorially accounts for power relations’ (Raffestin, 1982: 170), and: ‘We live in a world of hierarchical borders, each of them defines different numbers of affiliation and identities to which we belong’ (Newman, 2005: 31). One can find these points directly or indirectly expressed in the huge literature proceeded by anarchist thinkers starting from the first half of the nineteenth century. Furthermore, two prominent ‘classical’ anarchist thinkers, Elisée Reclus (1830-1905) and Piotr Kropotkin (1842-1921) were also geographers; geographers because they were anarchist and vice-versa, as Ward writes: ‘It was no accident that two of the major anarchists of the late Nineteenth Century were also geographers’ (Ward, 2010: 209 (in Springer, 2012)). Even though they were academically neglected in the twentieth century, with a preference to study and rescue classic/hierarchical geographers like Halford Mackinder and Friedrich Ratzel, the contributions to geographical thought by Reclus and Kropotkin didn’t disappear and now are blooming again (Ferretti, 2017a; Ferretti et al, 2017b; Springer, 2013; Springer 2016). Their approach as activists and as geographers was to pay attention to the natural environment and to human beings, as individuals and groups. Power relations, social structures, iconographies (à la Gottmann) and discourses (à la Foucault) were social-political constructs undermining the understanding of the ability/talent of humans to self-organize. Their final goal was to destroy the social pyramid embodied by the state, in order to allow human beings to group themselves by choice (not by religion, language, ideology, ‘ethnicity’ etc. ), free to change by agreement (Reclus, 1905-08) with the aim of cooperation/mutual aid (Kropotkin, 1978 ), not in a single ‘revolutionary’ day or period, but along a process of individual and collective change (Landauer, 2012 ). In this, anarchism is simply expressed as a different way to (self-)organize individuals and human groups in relation with the environment. Officially we no longer live ‘in a time of wars’, but actually the headlines of newspapers and of TV-news are very often related to geopolitical (armed) conflicts, tensions, and challenges, thus, geography could still be useful for reaching the same goals indicated by Kropotkin, those of peace and cooperation. ‘“Class struggle”, the search for equilibrium, and the will of the individual – these are the three facts that the study of social geography reveals to us and which, within a maelstrom of events, appear to be sufficiently constant to assume the name of “laws”’ (Reclus, 1905: preface). The socio-economic hierarchy created by unequal development between individuals and societies provokes conflict during periods of crisis, inequalities being the source of conflict. Inequalities tend to balance out through a series of actions and counteractions, but it’s possible to intervene consciously in this dynamic because ‘it is from human beings that the creative will to construct and reconstruct the world is born’ (Reclus, 1905: preface). This approach is close to that of the well known sociologist Anthony D. Smith and his five relevant points for identifying a human group: 1) Link with a territory, 2) Myth, 3) History, 4) Diversity, and 5) Genre de vie (Lifestyle) (1992). Smith doesn’t deal with the geographical characteristics of territory; a brief observation of the physical structure of the world areas where there are groups and politicians claiming independence today shows that the presence of mountains, valleys, rivers and coastal shores is predominant. Nor did he include common language which is one, or perhaps the main, factor of cohesion which drives the psychological construction of the sense of existence, or simply the acceptance of the existing lifestyle. But common language is not sufficient for ‘justifying’ claims of independence. It’s only a relevant indicator of shared mental attitude, of shared memes (Dawkins, 1995). Language, and any communication means, drives concepts and memes and is a terrific tool for maintaining and/or building a so-called ‘ethnic’ identity (sometimes wishfully expressed as a ‘national’ identity). In the end what does it mean to be critically anarchist in Geopolitics today? For Febvre it means not ‘exclud[ing] anything on principle. Being open-minded, keeping the inclination to welcome ideas, to arouse the comparisons’ (1980 : 426). This is the starting point to considering borders not as something fixed and to be preserved forever nor for dividing ‘sovereignty’ (or socio-economic pyramidal power), but only as something functional to the relations across them. Contemporary French geographer, Philippe Pelletier, during the sessions of the ICAGG-2017 (the First International Conference in Anarchist Geographies and Geographers, held in Italy), suggested that we ‘think and re-think the nature and the functions of the borders as well the ones of the territory/ies’ and should ‘consider the practice, more than the identity/ies’. This means thinking about the areas inhabited by human groups as flexible and dynamic in time, subject to changes in the human-human/human-environment relationships (cultural drift and environmental drift) and therefore considering as flexible the margins/borders of the human group and of the territory seen as (bio-)physical space. Innovation happens in any case. Is there an anarchist method for doing a geographical/geopolitical analysis? No one method exists, but instead a tool-kit of instruments can be used in a flexible way case by case. My suggested procedure is: 1) to observe the bio-physical space (environment and human components, joint and separated), identifying its main characteristics, i.e. the stable features and the deviation in their dynamics, 2) to observe the lifestyles of the human group that lives in the examined territory (without being bounded to fixed boundaries, but also taking their possible effects into account) and trying to deduce iconographies and narratives of the local cultural island, 3) looking for signs of cultural drift (new generations and/or external influences and/or sudden or dramatic events that increase the speed of the drift). (Bio-)Physical Space is the starting point of the observation, because ‘an educated geographer is an observer’ and ‘Geography is seeing, not writing’ (Toal, 1996: 94). I suggest considering Space as composed by three mixed elements: (Bio-)Physical Space, Perceived Space (influenced by narratives, selfcaging, cultural islands and cultural drift; personal iconographies assumed/pretended as freely chosen), Represented/Symbolic Space (made by caging, iconographies, discourse, narratives, and socio-economic pyramids) (Eva, 2012). There are also some warnings: 1) Never believe in the statements of those responsible for (or members of) the institutions – always critically evaluate what can correspond to the represented/symbolic space and to the caging. Try to identify the rhetorical iconographies, narratives and discourses of that political/cultural island. 2) Do not ever (completely) believe in the statements of individuals – always critically evaluate the perception of space and selfcaging. Try to identify how the single individual behaviors correspond to cultural habits and what relationships individuals have with iconographies and narratives of that cultural island to which they belong or consider themselves to be part of – but ‘if we want to consider seriously the actors, it’s necessary to hear them without stating in advance the meaning of what they are telling us’ (Levy, 1999: 76). 3) Having an approach not necessarily ‘against’ the state, but certainly not considering it as the best means for managing environment-human relations nor for managing power relations (human rights and needs). 4) Understanding the functional structure of the socio-economic pyramid of the analyzed human group and the iconography that supports it (Symbolic/Represented Space). 5) Do not recognize for any human group a special/exclusive relationship with a specific territory, but consider its ‘perception’ as geopolitically significant (Perceived Space and selfcaging). ‘Ethnicity is a “symbolic construct”, but the feeling-perception to belong to an ethnic identity is a reality’ (dell’Agnese, 2005: 126). As Pelletier noted at the ICAGG-2017: ‘for an anarchist approach both topics and ways to analyze are relevant’ and, considering that human beings need iconographies, the thirty articles of the Universal Declaration of Human Rights and the Declarations of Social and Economic Rights (1966-1976) are still the best Represented/Symbolic Spaces to be put in action. The goals are: 1) to reduce conflicts, 2) to support peace processes avoiding preconditions and giving time for negotiation/agreement, 3) to facilitate the acceptance of change by ordinary people giving evidence (by narratives) of the convenience of the change and giving few economic and/or psychological advantages to the individuals. But it’s necessary to think outside the asymmetrical relations of power in the current social and economic state-and-capitalist pyramidal context. Being against the current concept of state sovereignty means promoting regional/provincial/municipal autonomies (about 7000 km² as a theoretical reference in relation also to the local density) and a con-federal structure of (current) states after an in-depth geographical analysis. With economic support (such as oriented de-taxation like in Special Economic Zones all over the world) the regional-provincial autonomous areas could switch to a re-configuration of the current states through cross-border agreements and a progressive change of the laws both in the sense to enlarge and intertwine common standards and to allow more flexibility in the local management of society – opinions and suggestions of the local people should be continuously monitored. All the disputed/contested areas among states can be managed jointly and there are several concrete examples of it, including among states which are in conflict over the ‘sovereignty’ of specific areas. All the UN state members have to give evidence that they are adapting their internal juridical system according to the Declaration of the Universal Human Rights. The UN should establish a TV station for presenting news around the world along the model of the Euronews TV and each state member should accept internal broadcasting. Finally, the UN have to support preemptive studies on geopolitical risks in order to study and suggest solutions before the deterioration of a crisis. Unfortunately, the (geo)political leaders still think that being ‘realist’ means to be (militarily) ‘offensive’ in order to ‘have a role’ in the world arena.